CMS Max integrates with UPS Shipping! If you're looking to have us help you integrate UPS Shipping methods to your website or have us build you an eCommerce website please contact us. Help turbocharge your business by integrating the suite of available UPS APIs. Whether it's pre-shipment or tracking, you can provide a seamless, positive customer experience. 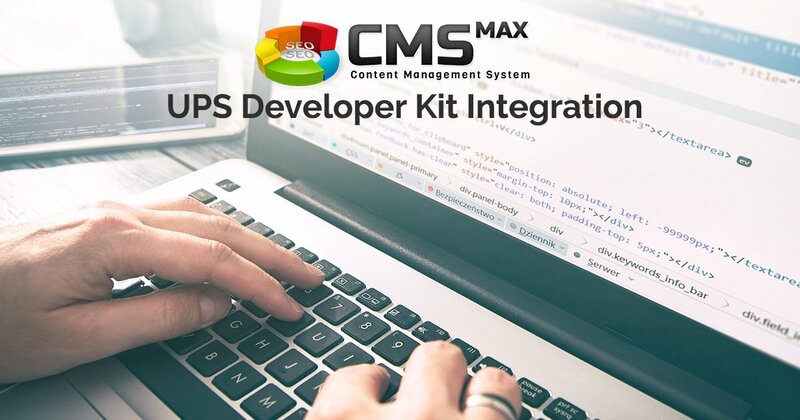 For existing CMS Max customers click here to follow step by step instructions on how to signup to use the UPS shipping module.